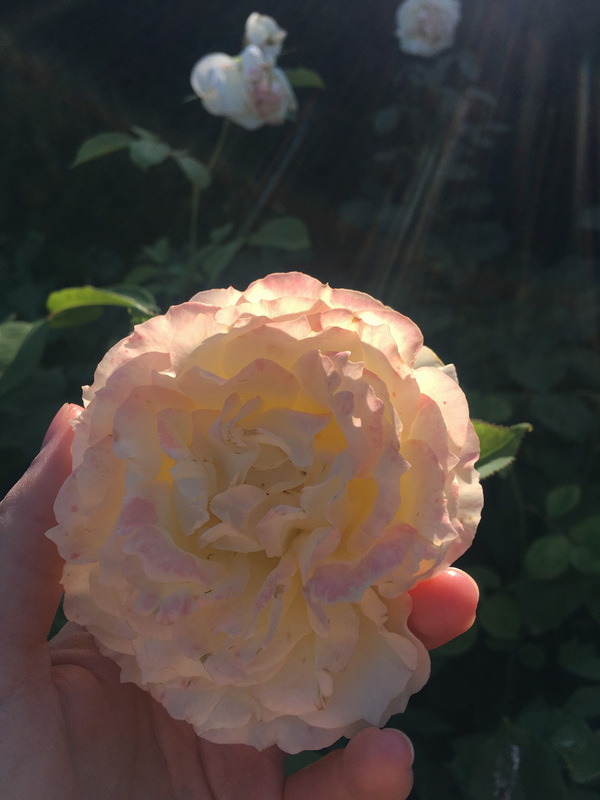 The first week of September still brings out that nostalgic, back to school vibe in me, a time to reflect on the summer past before cosying down into autumn. 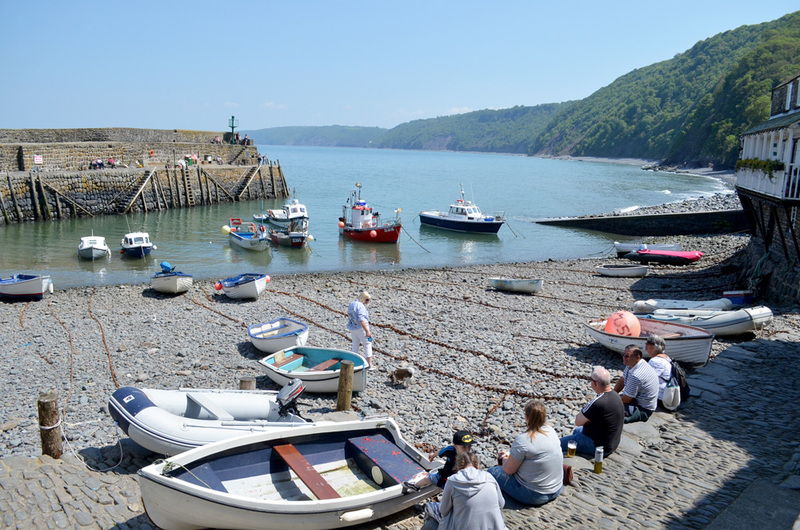 I moved down to North Devon at the start of May with all the bounding enthusiasm of spending the summer by the sea. 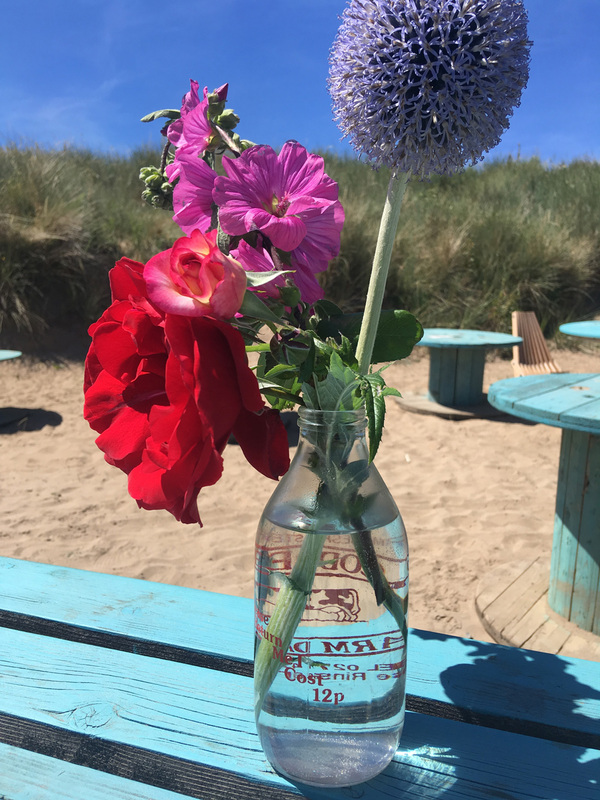 It’s been a summer of scorching hot days, World Cup glory, of beach walks and cream teas and adjusting to life beyond a city suburb. Armed with OS maps and walk books, the planning geek in me set about researching what to do on my days off from work, some of which purely based on trying the local food! 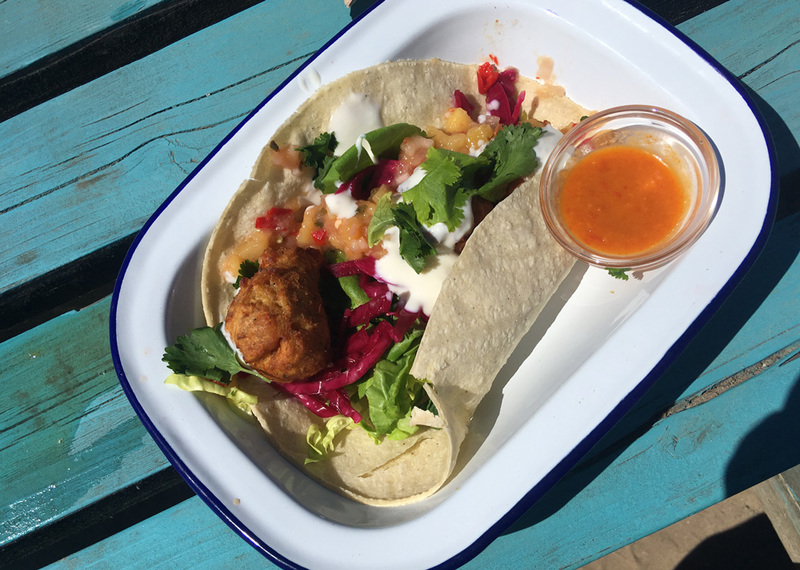 Whilst I have visited South Devon on dozens of occasions (childhood summers spent at Sidmouth Folk Festival), the north was a little more tucked away, and despite a vague memory of a hostelling holiday in Ilfracombe, I had a brand new area to explore. These are the places which left me with a happy heart. 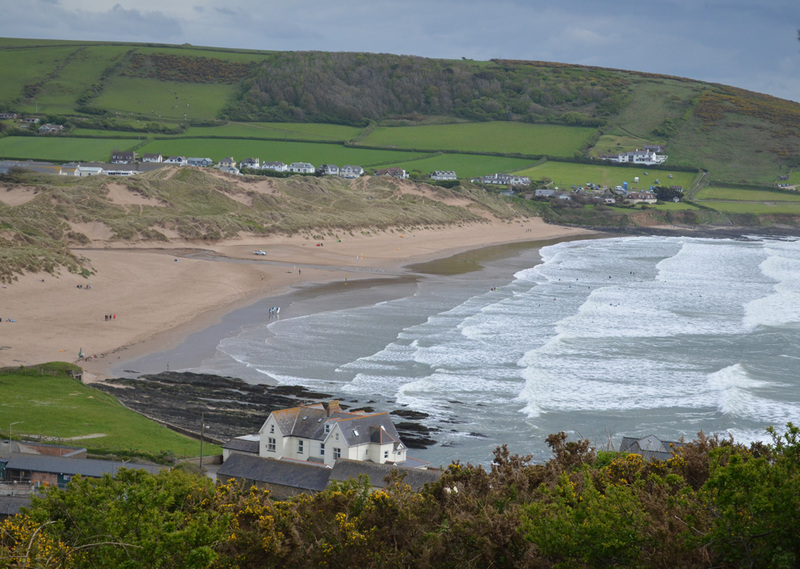 My first adventure the weekend I arrived, I jumped on the bus to the popular surf village of Croyde. 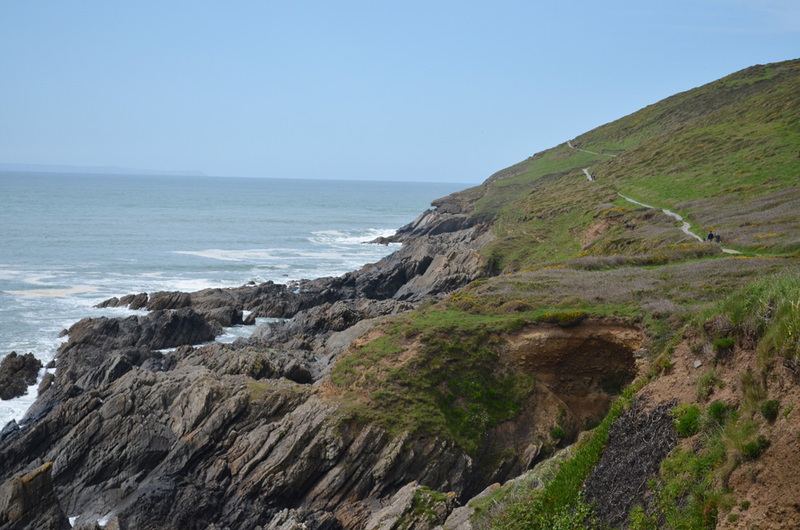 I made my way around the beach headland towards the steep path up to Baggy Point. 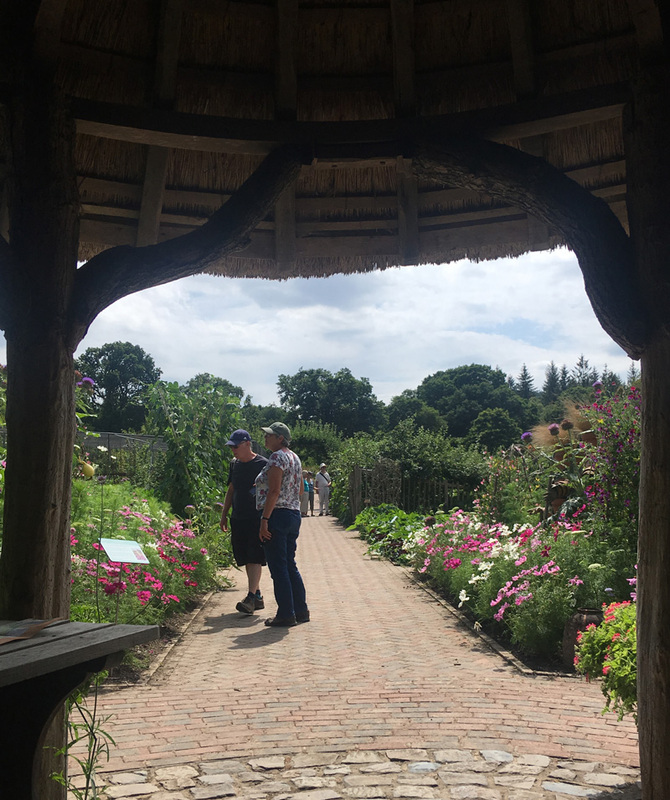 On my way, I stumbled across a gorgeous National Trust tearoom with a community allotment and a local craft shop in a wooden hut. 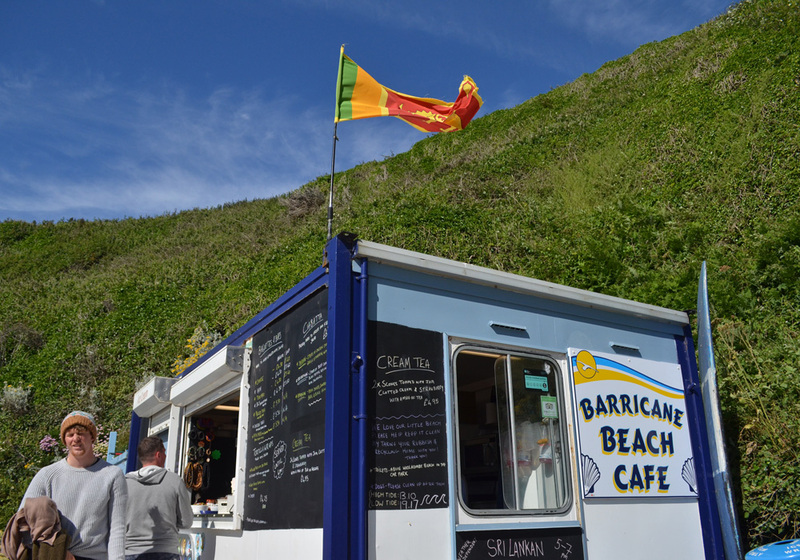 I decided to treat myself to a local Devon crab sandwich, which I enjoyed amongst the veggie patches to fuel me for the hike up to Baggy Point, which afforded stunning views back down to Croyde and over to Woolacombe. 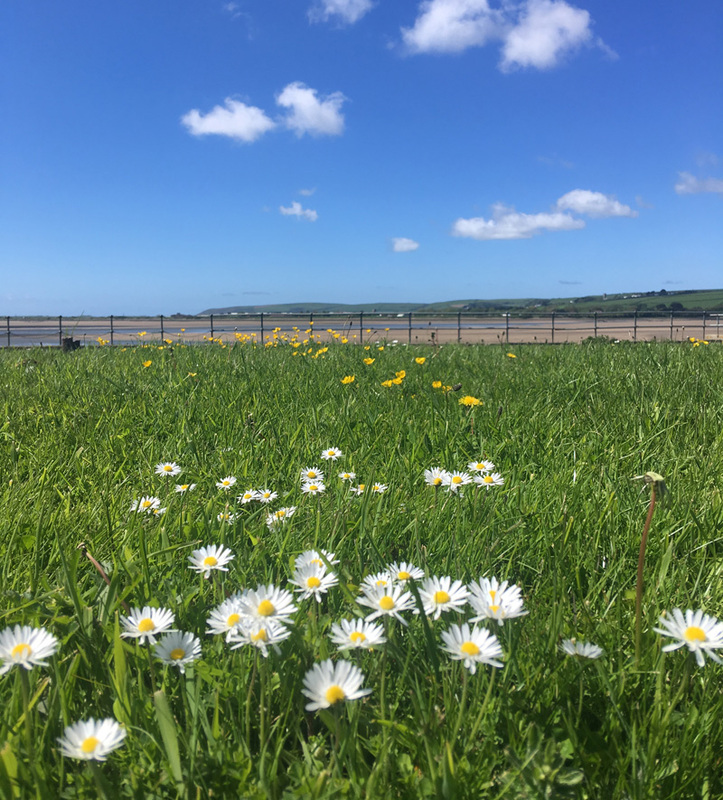 Between April and September, a small ferry runs between the colourful harbour village of Appledore on the tidal estuary of the river Torridge over to the sandy shore of Instow. 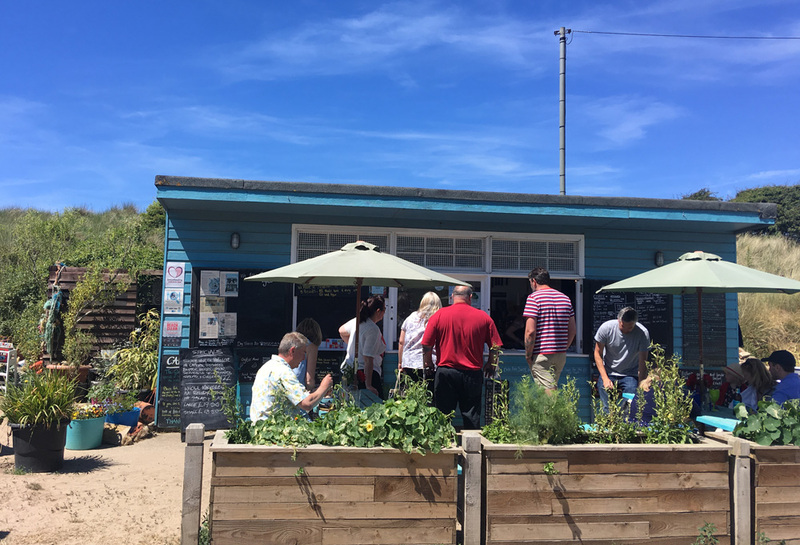 After the 5 minute ride, I followed the headland round for a seafood feast of Bajan fishcakes and Korean seaweed and tofu soup at The Glorious Oyster, a wooden seafood cafe set amongst the sand dunes in Instow. 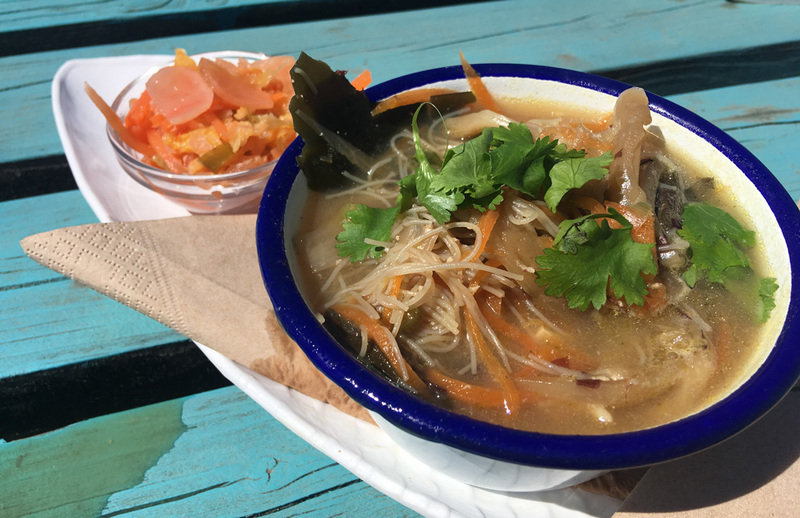 I basked in the sunshine and enjoyed the unusual flavours whilst nosing through books on the local area left for customers at the cafe. Appledore to Instow Ferry from Look With New Eyes on Vimeo. 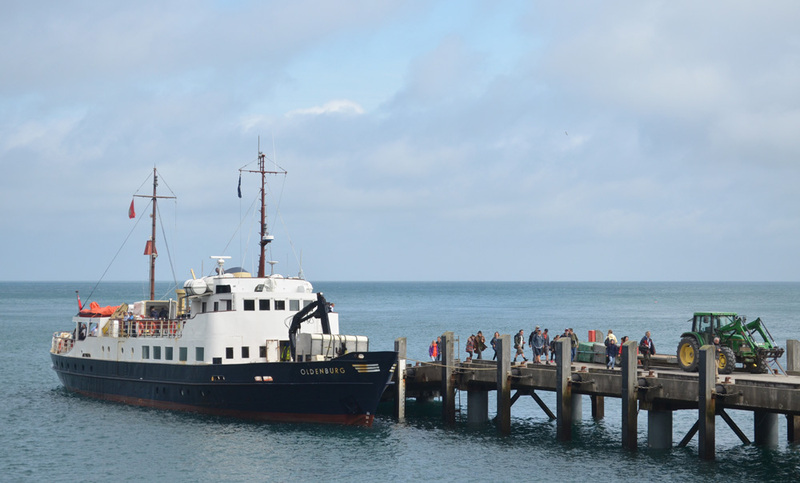 Post heatwave in Mid August, I took the 2hr ferry from Bideford to the tiny island of Lundy, 10 miles off the coast of Devon in the Bristol Channel. 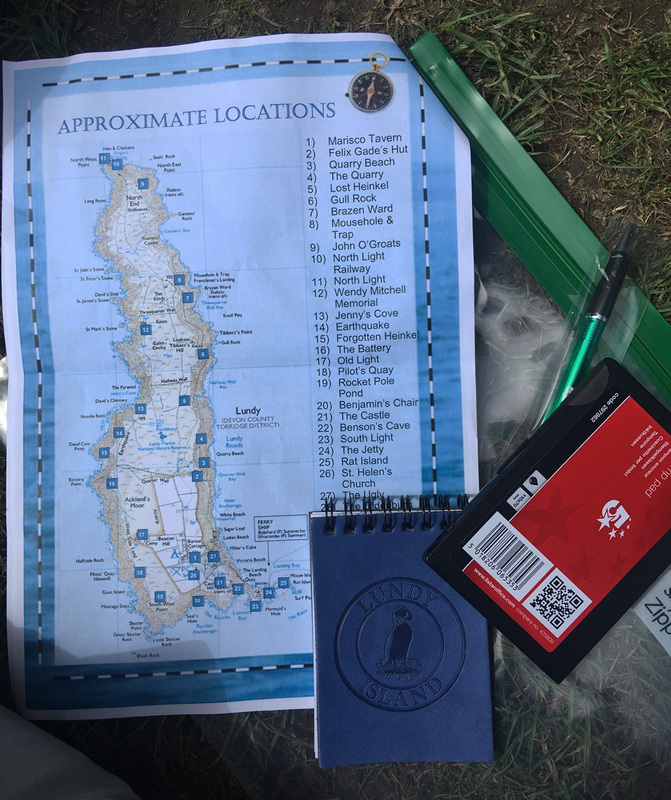 Once on shore, I picked up a letterboxing kit from the small general store and took a hike around the east side of the 3-mile island, following various clues to boxes hidden around the island with ink stamps and pads. 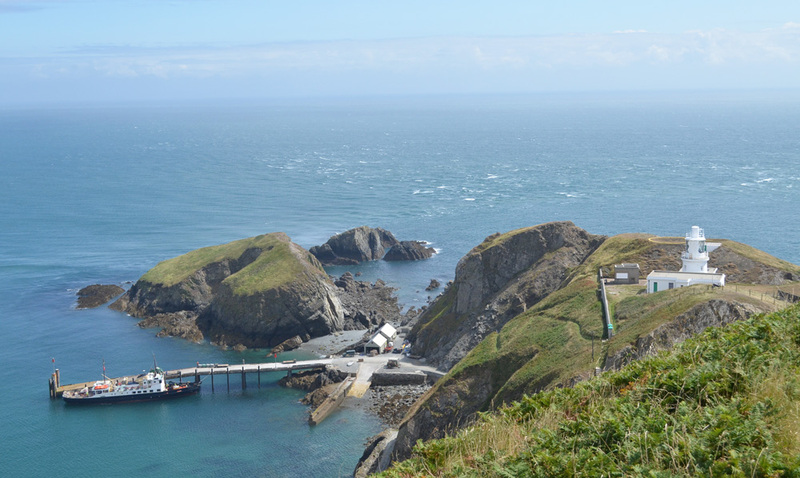 I escaped the buffeting winds by climbing up the steep steps to the old lighthouse, chilled out in the deck chairs which had replaced the lights and sent postcards home before heading back on another choppy ride home. 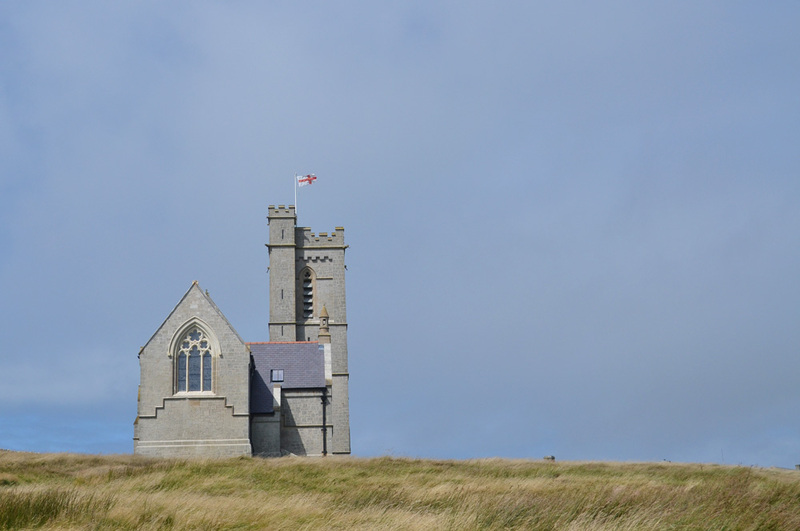 Lundy is managed by the Landmark Trust. 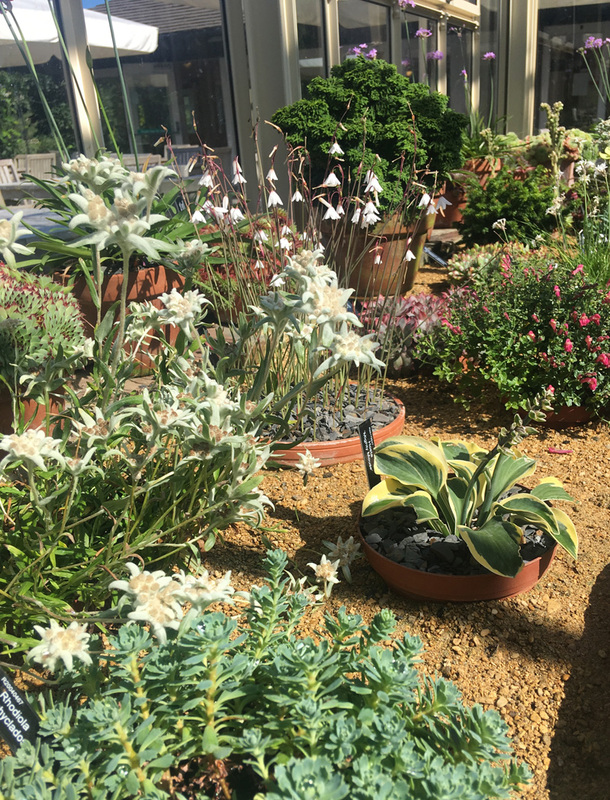 The older I’ve got, the more of a garden geek I’ve become, especially after months of volunteering at a local community garden in Nottingham. 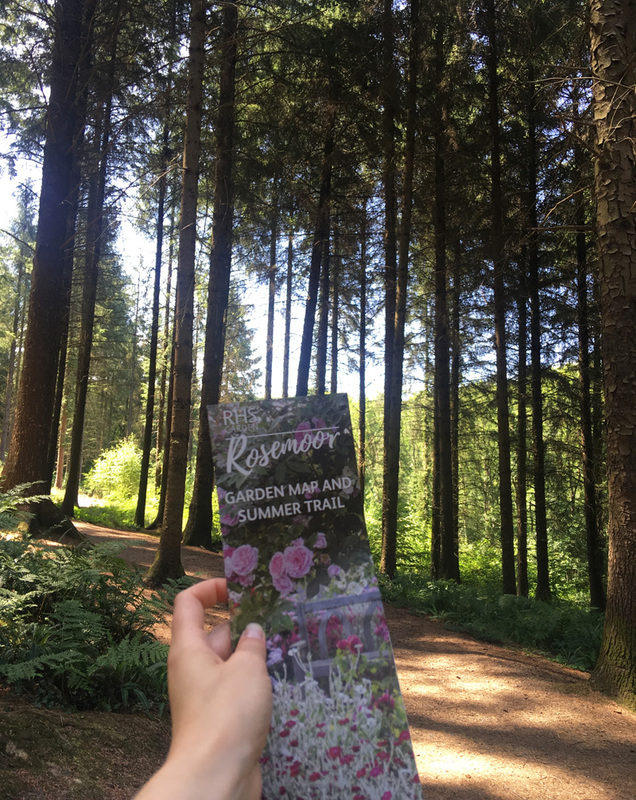 I couldn’t wait to head down to Rosemoor and loved the variety of styles each garden offered – from the allotments for the local college students to a peaceful stone garden, the fiery tones of the hot garden, the fading blooms of the Rose garden and an arboretum which celebrates trees from around the world. One thing I particularly loved was the numerous wooden swings, stone benches or mud huts to dive into for a quiet moment of reflection. 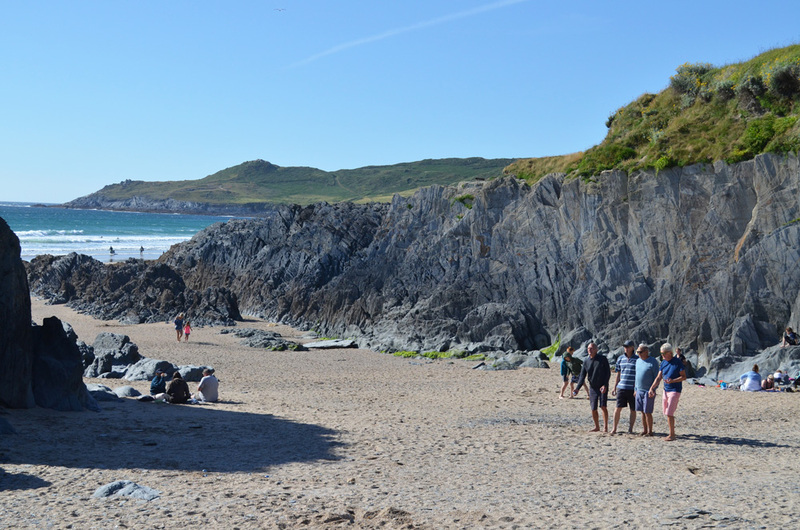 One of the most memorable meals of the summer, we drove over to Woolacombe on midsummers night, walked a short way up the hill and down some steep steps to the sheltered Barricane bay. 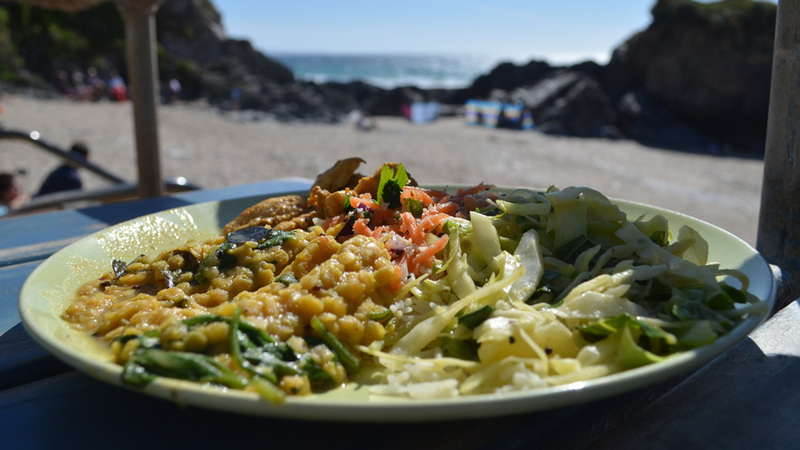 Most nights in summer (weather permitting), the beach cafe serves up a plate of Sri Lankan curry, with rice, salads and poppodoms on real plates with real knife and forks that you can take down and enjoy on the beach. 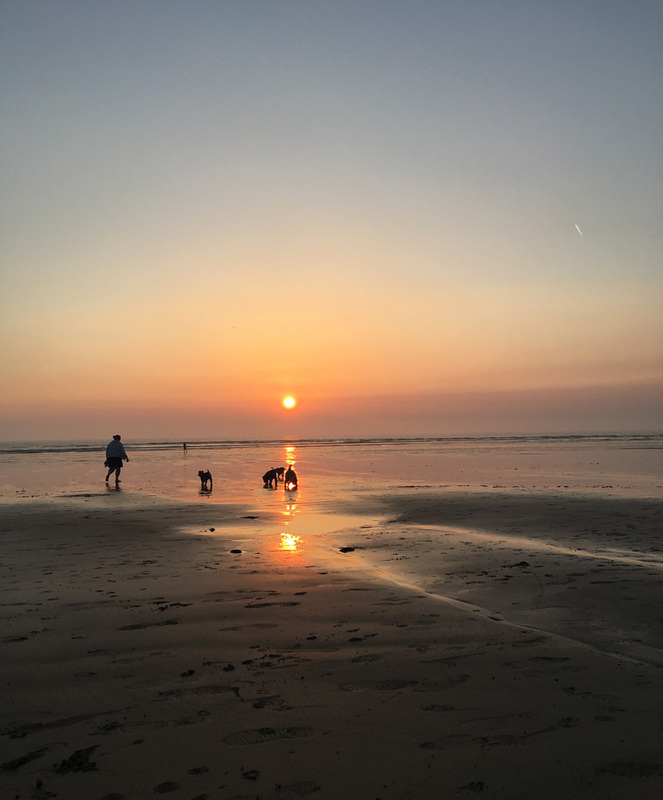 This beach is only a short walk from my house an affords simple, gorgeous memories of early morning runs, afternoons spent reading my Kindle and even a sunset dip in the sea at 9 pm. 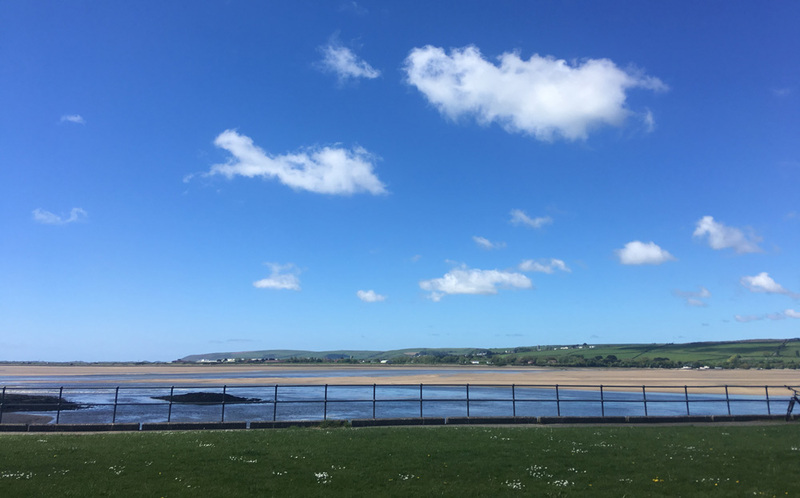 Even the walk down is a beauty, crossing Northam Burrows Country park and climbing up a peddle ridge before dropping down to the sandy shore. 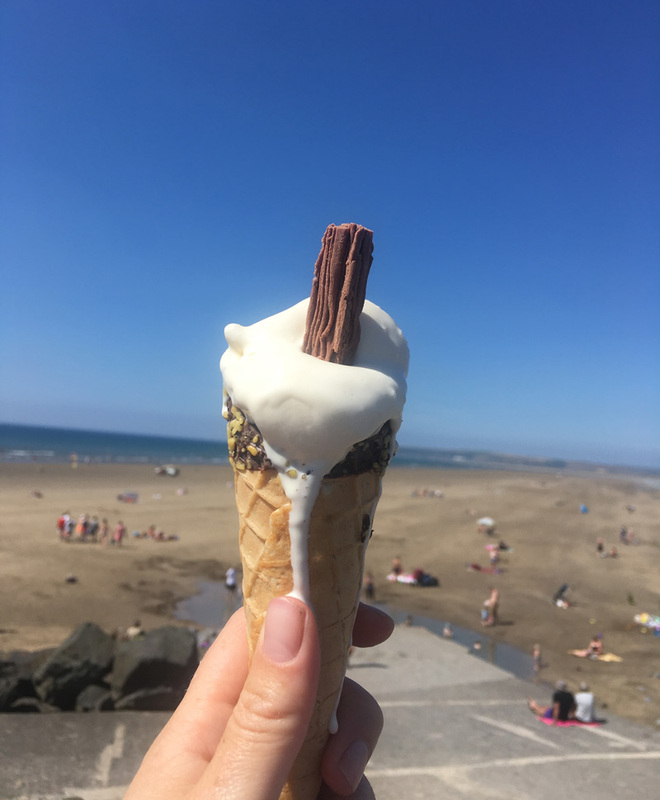 The Hockings ice cream van is a familiar site in North Devon in summer – they’ve been making ice cream from the same site in Appledore since 1936. 7. 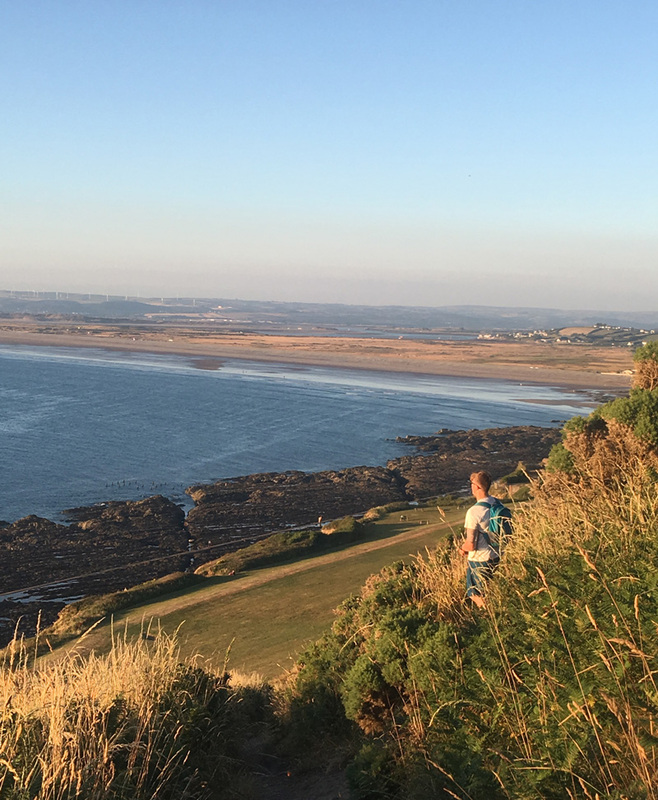 An evening stroll up Kipling Tor, Westward Ho! On the far end of Westward Ho! you will find the poem, ‘If’ by Rudyard Kipling etched with stones along the promenade. The Jungle Book author went to school here, and the small hill at the end of the beach town has been named after him. 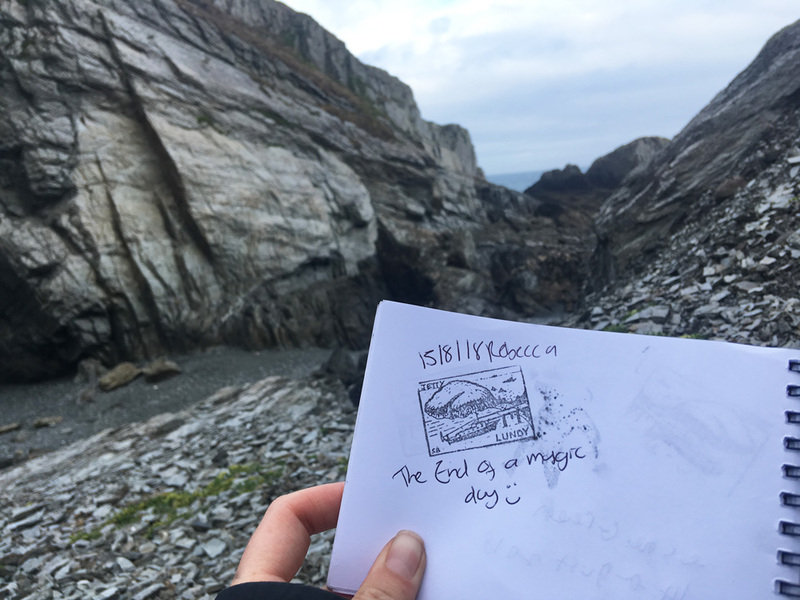 We took a walk up here on an amazing July evening, a stone shelter painted by local school children has views over to Lundy where we watched the sun melt over the sea before stopping off for hot doughnuts on the walk home. 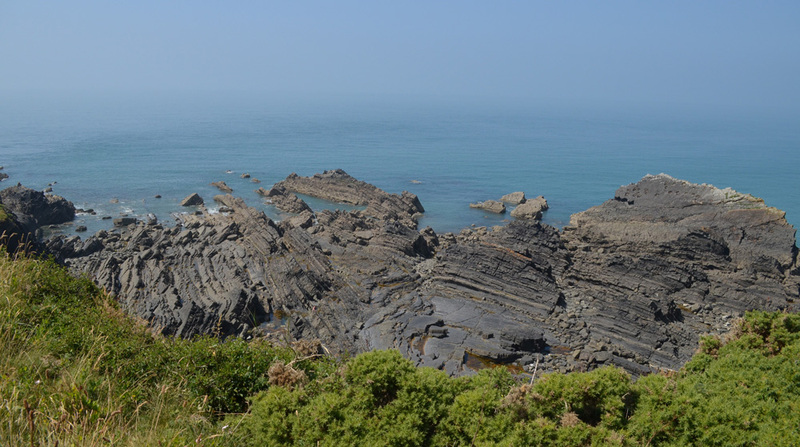 One Sunday in mid-May, I took a walk along a short, flat section of the South West Coast Path, following the River Taw. I stopped at Fremington Quay Cafe which used to be the to be the old station building on the Tarka railway. 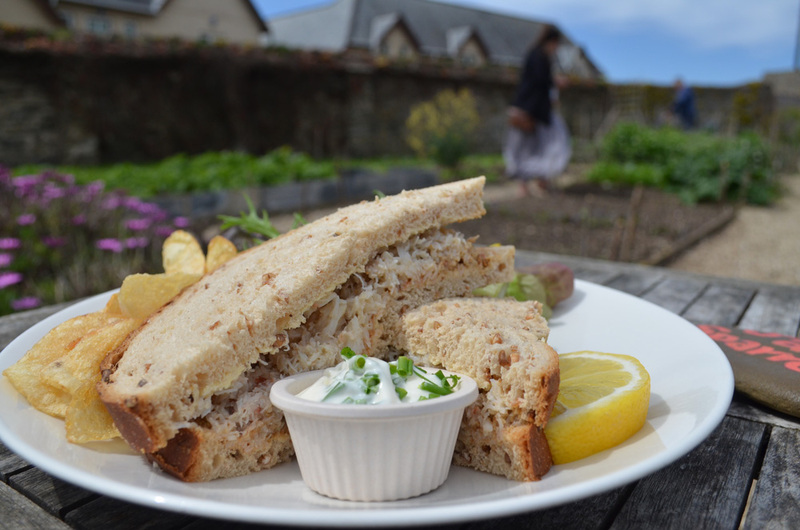 The small museum documents how Fremington used to be a bustling trading port and the adjoining cafe serves gorgeous homemade lunches and cakes. 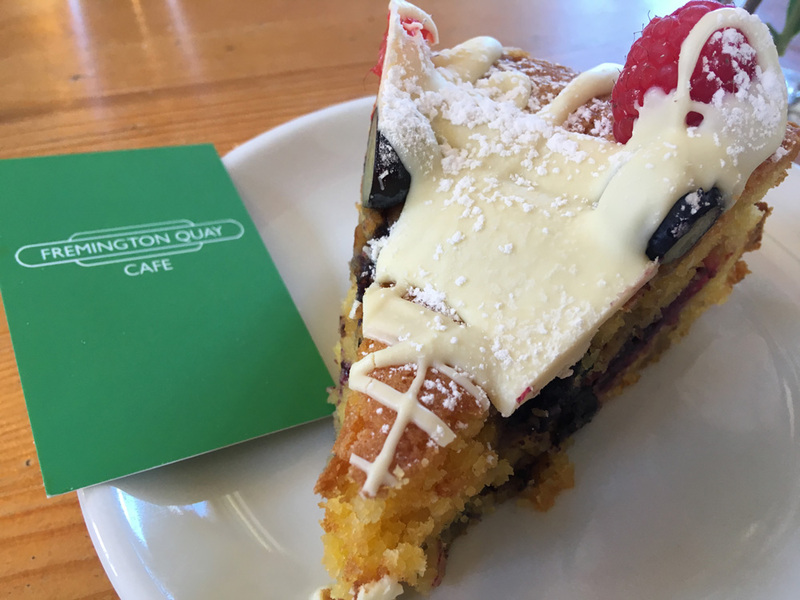 I tucked into this amazing berry and white chocolate polenta cake and settled into one of the sofas with the Sunday papers. 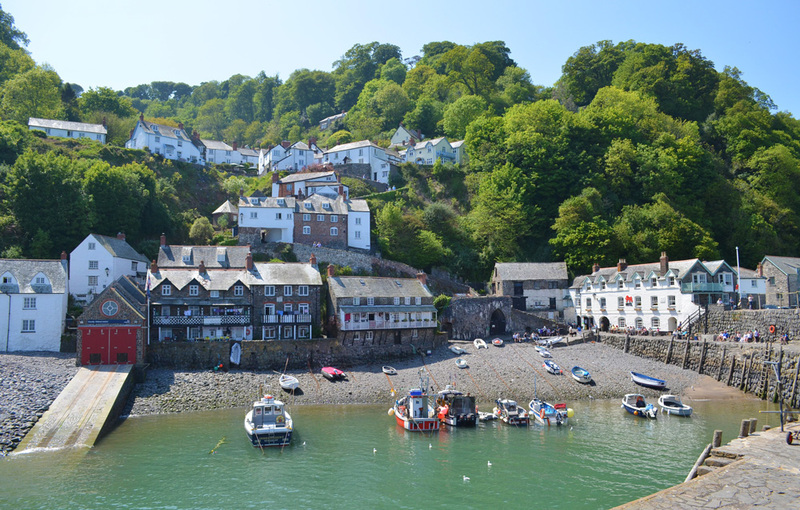 Clovelly was top of my list to visit when I moved down in May, famous for it’s coddled streets and harbour. 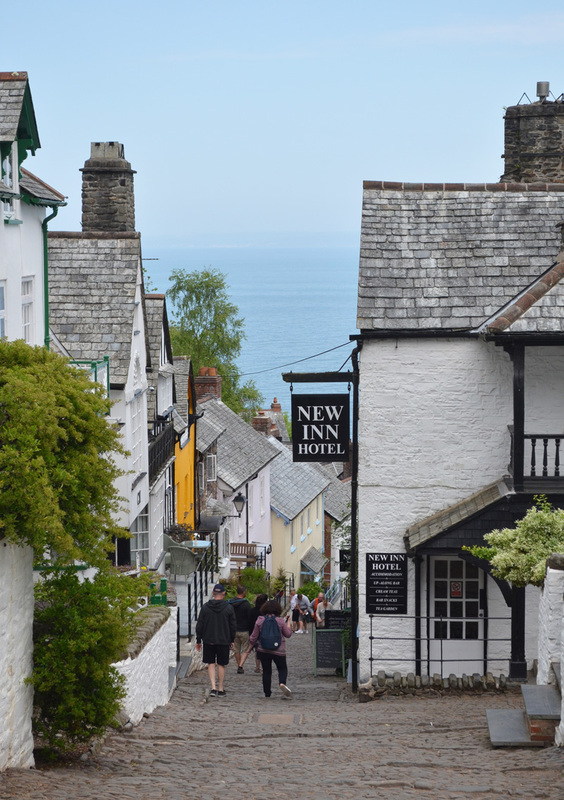 It’s a privately owned village so you do have to pay to visit – it’s worth going early or late in the day. 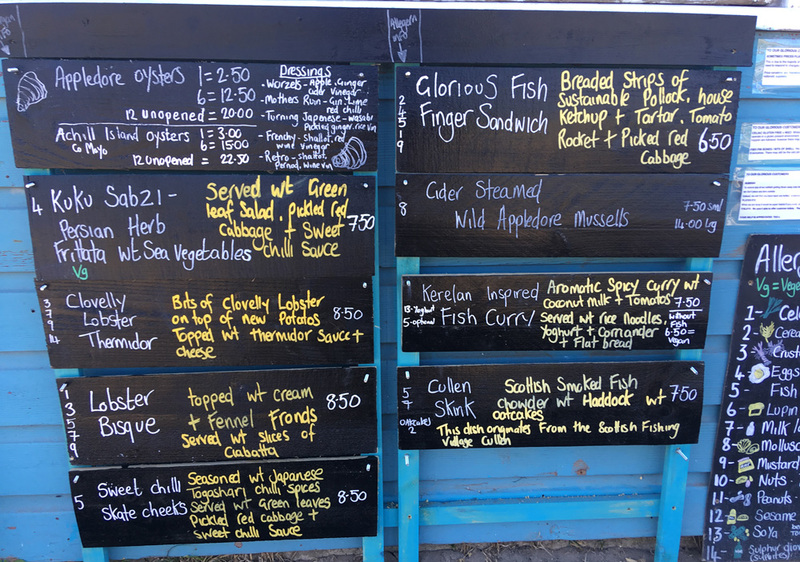 I had a super day checking out the craft shops, watching a potter at work, learning about the significance of fishing in the village in the old fisherman’s house museum and climbed over the rocks to a small waterfall before rounding off with a cream tea. 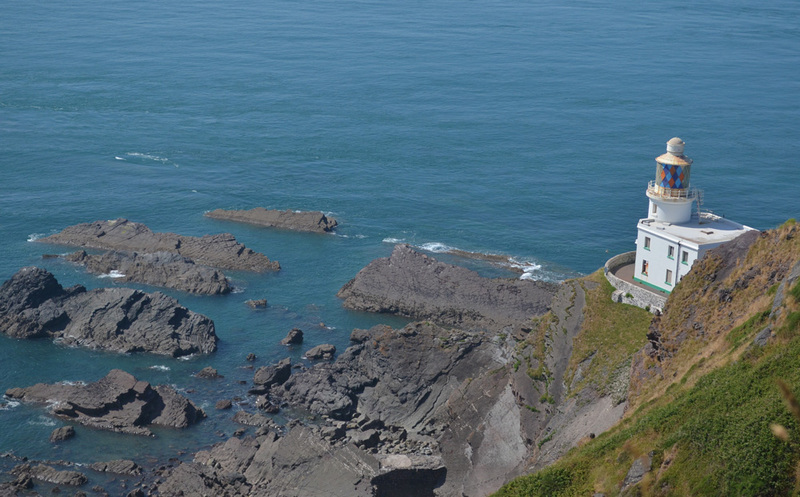 On my walk to work, on a clear day, I can see the shadow of a lighthouse to the west, standing proudly on the edge of the Hartland Peninsula, an area of Outstanding Natural Beauty. 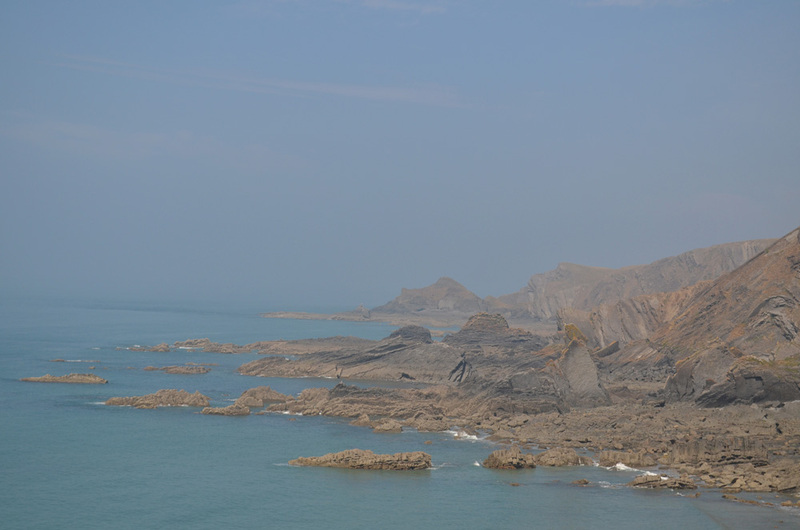 I went out to Hartland twice this summer – I love the coast path in this area, with its towering sea cliffs and lonely bays, it’s quite an out the way place to get to, so was reasonably quiet even in the height of summer. Tired of hiking one afternoon, we took the car round to Hartland Point, and the clouds lifted for a view of the colourful lighthouse. And those were my summer memories 🙂 What were your stand out memories from summer 2018?